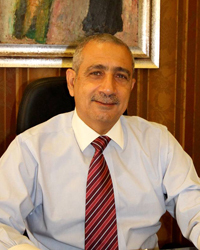 Mr. El Sayed has been the co-founder and Senior Partner of EMC since 1988. He graduated from Ain Shams University in 1977 with a Bachelor Degree in electrical engineering. He started his career in 1977 as an electrical engineer in Engineering Consultants Group (ECG) as an electrical design engineer. Mr. El Sayed then moved to the United States when he joined General Electric, as a power generation sales engineer. In 1981 he moved to the United Arab Emirates and became a Sales Engineer of Power Generation in General Electric, Dubai, responsible for the Gulf Sataes. Mr. Ahmed moved back to Egypt in 1983 when he –re-joined ECG, mixing his work between business development activities and technical input in the power plant sector. In 1987 he was promoted Vice President-Business Development. In 1997 Mr. Ahmed became a board member of Engineering Consultants Group (ECG), and served between November 2008 and December 2010 as President and Chief Executive Officer of Engineering Consultants Group (ECG). In 1988 Mr El Sayed founded EMC together with Mr Dessouki and has been EMC’s Senior Partner since then. Mr. Ahmed has a son and a daughter; Omar and Salma with his wife Mrs. Omneya Abdelkawy. 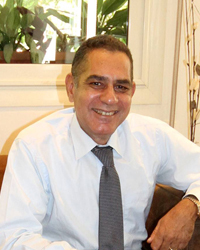 Mr. Dessouky has been the Senior Partner of EMC since January 2000. He graduated from Ain Shams University in 1978 with a Bachelor degree in Electric Engineering. He started his career in December 1979 as an Electric Design Engineer in Engineering Consultants Group (ECG). In January 1981 Mr. Dessouky became a Sales Engineer in General Electric Trading Company (GETC).Then he became Sales Engineer in General Electric International Operations in 1985. By January 1989 he became the District Manager of Egypt & East Africa in General Electric Power Systems. In December 1992 Mr. Dessouky became an Executive Partner in (EMC). Ever since January 2000 he has been the Senior Partner of EMC. Mr. Dessouky has three daughters; Nadia, Malak, and Farida with his wife Mrs. Sherine El-Guindy.